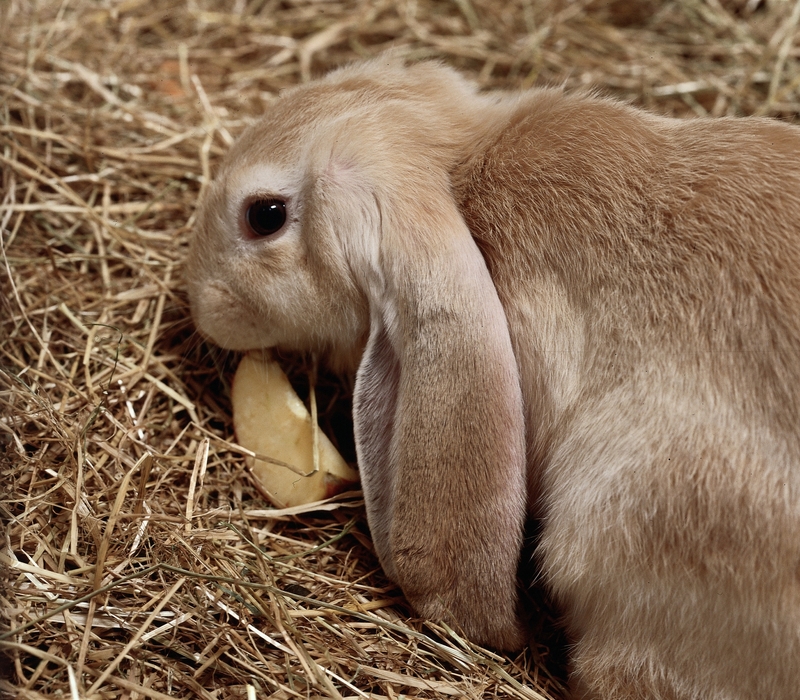 Rabbits and monkeys key in developing the first smallpox treatment. A new drug that has been shown to stop the replication of the variola virus (smallpox) is getting closer to FDA approval. Bioterrorism or accidental exposure of the virus is a real threat. Smallpox was deemed eradicated in 1980 so people no longer receive vaccines against it. If an outbreak occurred it would be devastating due to its ability to spread easily and cause fatalities. Almost all of the research animals that received the drug after being infected with the virus survived. The converse result occurred for those that did not get the drug. Trials in humans are currently determining safety and dose. Grant McFadden, a researcher who studies poxviruses at Arizona State University, said “Preparing for disasters comes in different shapes and forms. This is preparing for an infectious disease disaster.” This study is described in the May 1, 2018 FDA Briefing Document: Meeting of the Antimicrobial Drugs Advisory Committee. Rabbit in research. Image courtesy of Understanding Animal Research. New Vaccine for Horse Flu Developed. Equine influenza, the flu in horses, is highly contagious. The current vaccine for horses is 25 years old and takes months to produce. A new study involving mice and a small number of horses used a “reverse genetic approach” to create a live-attenuated vaccine that can be created quickly in response to new equine influenza strains. “A new vaccine is needed not only to keep horses healthy, but also to protect people.” says Dr. Luis Martinez-Sobrido, an associate professor of Microbiology and Immunology at the University of Rochester Medical Center. Although people are not susceptible to the equine flu, viruses mutate leading to the potential for a strain that can infect people. A larger study is underway to further explore the effectiveness of the new vaccine. This study was published in Virology. Monkey studies determine that timing of Zika exposure affects fetal outcomes. Along with a complementary study in human infants conducted by researchers in Brazil, researchers in the U.S. found in monkeys that the timing of Zika exposure during pregnancy significantly alters fetal outcomes. In Brazil, nearly half the infants with confirmed congenital Zika syndrome were likely to suffer seizures in their first four months of life. The monkey study relied on 11 pregnant rhesus macaques (an Old World primate) who were infected with a Zika virus isolate from Brazil, each at different times during their pregnancies. Zika was detected in the amniotic fluid of five of the monkeys, and two of the three monkeys infected during the first trimester experienced fetal death. This study was complemented by work published this week by marmoset researchers (a New World primate), showing that marmosets inoculated with the Zika virus during the first half of their pregnancy spontaneously aborted the fetuses about two weeks after the infection. Collectively, these studies demonstrate that Zika exposure in the first half of pregnancy is linked to more severe fetal outcomes. The human study was published in The American Journal of Tropical Medicine and Hygiene, the rhesus monkey study was published in Nature Communications, and the marmoset study was published in Scientific Reports. 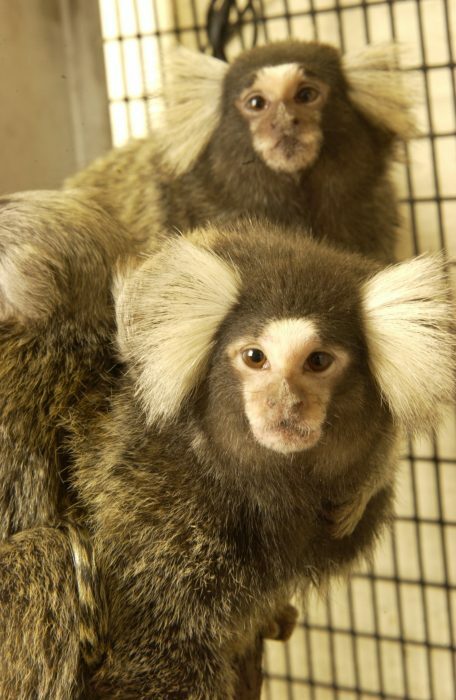 Marmosets. Credit: Texas Biomedical Research Institute. Pill developed for better diagnosis of breast cancer. New research with mice uses an oral pill to make breast tumors glow under infrared light. The pill releases fluorescent dye that can only attach to breast tumors that are cancerous. Doctors can then use near-infrared imaging to detect cancer at the molecular level. This new technology is more precise and less invasive than current practices using mammograms. Each year 1 in 8 women are diagnosed with breast cancer, and 30% of those women have benign tumors. This new pill would reduce the number of women that are over-diagnosed, saving money and hardships. The next step is to start preclinical trials with the pill to bring the technology to market. This research was published in Molecular Pharmaceutics. Posted on May 4, 2018 May 13, 2018 by EditorPosted in News, Research RoundupTagged breast cancer, flu vaccine, horse flu, primate, rabbit, smallpox, Zika virus. Previous Previous post: Research Roundup: genetic catalyst of antibiotic resistance identified, why dogs are a relevant model for human health and more!